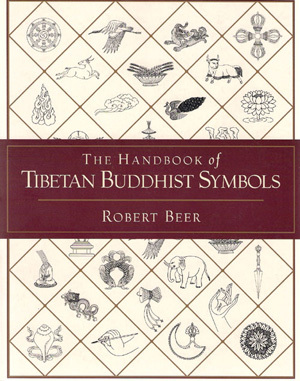 Robert Beer's first book, the Encyclopedia of Tibetan Symbols and Motifs, generated immense interest in the subject. Here he offers a compact, concise reference work based on his landmark work and on the pictorial index he wrote for Deities of Tibetan Buddhism. This handbook contains an extensive array of Indo-Tibetan Buddhist art and symbolism, accompanied by succinct explanations and offers a more user-friendly and accessible format than the encyclopedia. It provides treatment of the most essential Tibetan traditional figures, themes and motifs, both secular and religious. For artists, designers, and all with an interest in Buddhist and Tibetan art, this book features hundreds of the author's own exquisite line drawings, depicting landscapes, deities, animals, plants, gurus, mudras, dragons and other mythic creatures - all ranging from complex mythological scenes to small, simple ornaments. "The vast pantheon of Buddhist deities and their symbolic attributes are purely an encapsulation or visual expression of the entire path of the Hinayana, Mahayana, and Vajrayana teachings. They can only really be understood through a deep comprehension of these teachings, and they can only be directly realized through the continuity of prolonged practice, performance, and perfection. To think that one can understand them through historical, psychological, or comparative interpretation is simply not adequate." Robert Beer.